UK jobs are attracting less interest from other European workers, figures released by some of the world’s largest job search engines suggest. Data analysed for BBC News by jobs site Indeed show the number of searches for UK jobs from other European countries has fallen since 2015. The construction and healthcare industries have been the hardest hit. The government has said that it wants to attract and retain people who bring benefits to the UK. On Indeed, the number of UK job searches from other European countries peaked at 17,513 per million in February 2015. By July 2017, this figure had dropped to 14,701. The figure includes searches from countries in the European Economic Area that are not part of the EU, such as Norway, Iceland and Liechtenstein, as well as Switzerland. Data shared with the BBC by other job search websites suggests something similar. Data from the Office for National Statistics (ONS) also shows that the number of non-UK nationals from the EU working in the UK dropped by 132,000 in the three months to September 2018 compared with 2017. That’s the largest annual fall since comparable records began in 1997. Are fewer jobs available then? No, the jobs market in the UK has remained robust in recent years. Employment reached a record high in January. The number of job vacancies available in the UK has also been increasing since a dip in 2016, according to the ONS. Indeed also said that the number of jobs listed had been increasing. Why are European workers losing interest? Some academics have suggested Brexit uncertainty has a part to play. Rachel Marangozov, research associate at the Institute for Employment Studies, said: “Anyone would be reluctant to move to a country that could not guarantee their rights, residency or settlement prospects, let alone those of their family. Interest from Ireland and Poland in UK jobs has declined in the three years to December, relative to those searching from other countries, according to Indeed. Irish and Polish jobseekers’ share of searches on the UK website decreased by 50.5% and 17.1%. But, there are also other factors to consider. Poland, for example, has recently seen unemployment falling and wages growing. Recovering economies elsewhere could mean that jobseekers in those countries are less inclined to search for UK-based jobs. The value of the pound relative to the euro has also been falling since late 2015. For workers from other European countries looking to send earnings back home, the lower value of the exchange rate could reduce the incentive to work in the UK. Which industries have been impacted most? UK job roles that rely heavily on workers from other EU countries include those in the healthcare, food, construction and childcare industries. According to the data from Indeed, the number of clicks from other European countries on UK construction job listings has nearly halved over the past few years. Although, that for childcare job listings has seen an increase. 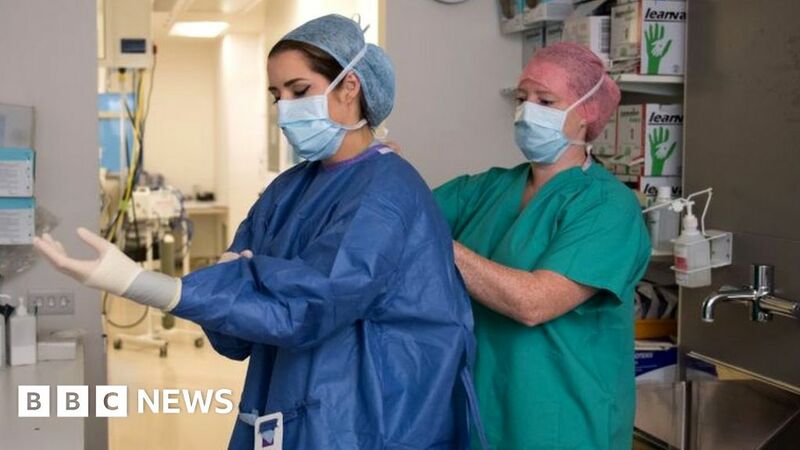 The Nursing and Midwifery Council found that the number of nurses and midwives from other EU countries registered to work in the UK had decreased by 2,385 between September 2017 and 2018. CBI chief economist Rain Newton-Smith said: “Since the [Brexit] referendum, the UK has become a less attractive place to work. “When I talk to businesses, they tell me they are doing all they can to reassure their EU workers – but it’s harder to convince them that they are still welcome in the UK. A government official told BBC News securing the rights of resident EU citizens had “always been” its priority. And leaving the EU would allow the country to “put in place an immigration system which works in the best interests of the UK”. She Was Loyal to Chris Christie. Now She Will Go to Prison for Bridgegate. April 24, 2019 Comments Off on She Was Loyal to Chris Christie. Now She Will Go to Prison for Bridgegate. April 25, 2019 Comments Off on Wall Street keeps hitting records. What do investors do now?